‘Tis the Season For: Pumpkin Picking Tips. Pumpkins are really squash… members of the squash family. A pumpkin is a fruit. Most people think of it as a vegetable. Select pumpkins that are completely orange. A partially green pumpkin might not ripen any further. Be sure it is not too heavy to carry safely. You might want to bring along a wagon to carry your pumpkin(s). Use medium pumpkins for carving into a Jack O Lantern. Small pumpkins are better for cooking and baking. A ripe pumpkin has a hard shell that does not dent easily when pressing on it with a thumbnail. Examine the entire pumpkin carefully for soft spots. If you find even one soft spot, try another pumpkin. If you don’t plan on cutting your pumpkin into a Jack-O-Lantern, it will last well into Thanksgiving and beyond. It’s That Time Again: Farmer’s Market Season is Here! Today I received one of my favorite e-mail messages: Local Organic Strawberries are here. If you’ve never had the pleasure of tasting these treasures right off the vines, you are missing one of nature’s most perfect culinary creations. Yes, you can buy organic strawberries in the grocery store. They’re fine…in a pinch. But, if you can find local organic berries, walk, run, drive, fly to get them. The season is short, so don’t wait. If your garden is anything like mine, there are still plenty of fresh tomatoes to enjoy before the chill of fall settles in. No garden? Head out to your local produce stand and sample the heirloom varieties that are becoming popular. Why not have a simple TOMATO SALAD for lunch or dinner? 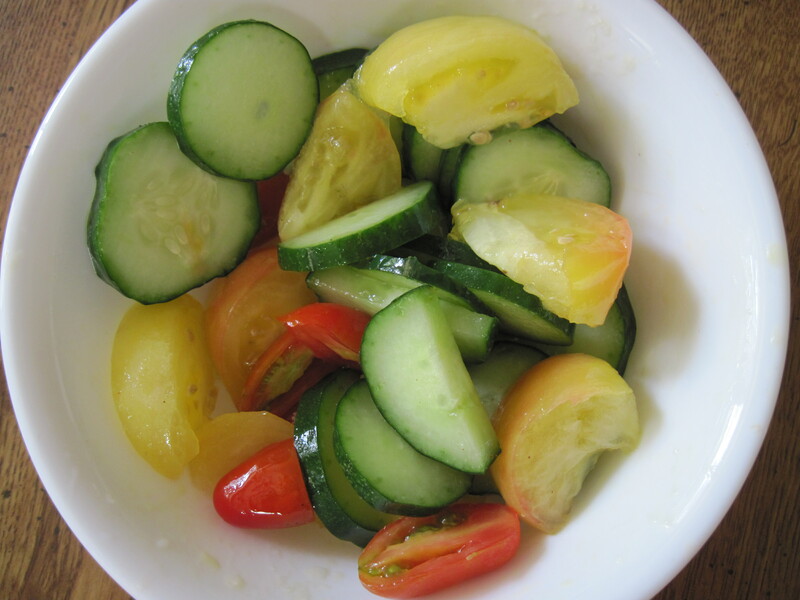 Eat them alone or with some crisp cucumber slices. Add just a drizzle of olive oil, salt and basil leaves (if desired). I like it at room temperature to get the best flavor from the tomatoes. You can also dice them and make a fresh SALSA by adding diced onion, diced green peppers (it’s up to you how hot you want them to be), and some chopped cilantro. Celebrate nature’s bounty and enjoy TOMATOES! How to “BEE” Kind to Bees. For thousands of years, honeybees have transformed flower nectar into that wonderful sweetness called honey. Not only is honey a delicious treat in recipes or to sweeten a cup of tea, it has many medicinal properties as well. Due to its sterile qualities, doctors used it as wound dressings during the civil war. Honeybees are important in another crucial way – as pollinators of our food supply. The USDA estimates that “about one mouthful in three in our diet directly or indirectly benefits from honeybee pollination”. Some crops, such as almonds, rely completely upon honeybees for propagation. Honeybees are one of many indicators of a healthy environment. A disturbance in their life cycle, could be a symptom of larger issues. Buy organic to help reduce pesticide use. Refrain from use of pesticides in your own yard and garden. Plant pollinator-friendly plants such as bee balm and red clover. Buy local and single producer honey to support small scale bee keepers in your own community. Enjoy the wonderful taste of local honey in your own recipes. BEE KIND TO BEES…Our Food Supply Depends on it! I’ve been reading a lot lately about the critical importance of SEEDS. It’s not something we think much about, but our very lives depend on seeds. Without them, we have no food. And we all know how important food is. If you hold seeds in your hand…you hold life. Monsanto and other companies hold patents on seeds. Think about this: THEY CAN CONTROL THE WORLD’S FOOD. If we want to ensure biodiversity and ample food for future generations, we need to preserve seeds and all the abundant varieties of foods they represent. How can we do it? Saving seeds was common practice for our ancestors, to ensure that there would be food even during lean times. As mechanization and hybridization took over farming in the 20th Century, the practice was lost….but thankfully, not forgotten. SEED BANKS are popping up in an unusual place…your local library. There are more than 600 seed libraries in North America. These collections will provide a free packet of seeds, information on gardening and seed saving techniques. SEED SAVERS is responsible for much of today’s seed library stock. It has 25,000 varieties – many of them rare or exclusive – dating before WWII. These seeds belong in the public domain and cannot be patented. The goal is to get these seeds into as many people’s hands as possible. Why not visit your local library and plant some seeds? You can spread some beauty in your own backyard by making some wildflower SEED BOMBS. Got Tomatoes? Try Drying Them to Enjoy All Winter Long. Making your own dried tomatoes is so easy and produces a product that is tastier and far less expensive than what you can get at the store! With a cutting board and some adult supervision, kids can help! 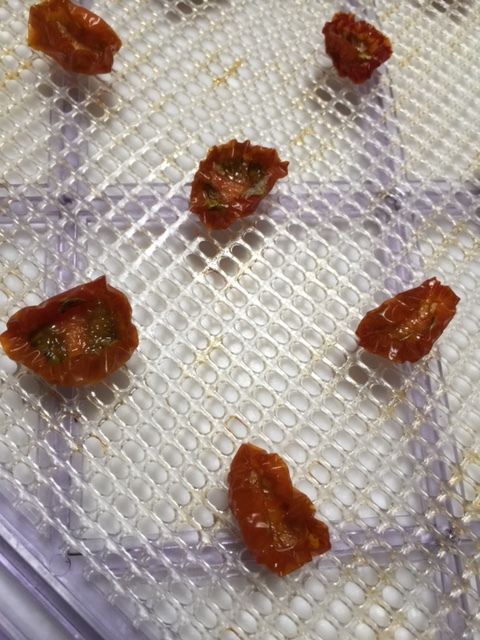 Some people use their ovens to dry tomatoes (directions for that method will follow), but we bought a dehydrator about 20 years ago and it has paid for itself many times over. 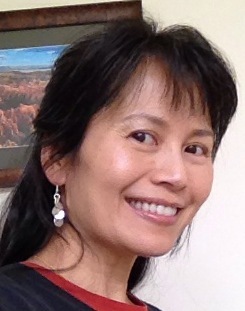 Hubby did some research and found the Excalibur to be an excellent and reliable brand. We have not had any trouble with ours at all. While you can dry just about any tomato, we have found that cherry or grape tomatoes are better for drying as they’re less watery and therefore dry faster. Any variety will do, but since hubby is not crazy about cloyingly sweet dried tomatoes (and the flavors intensify after all the moisture is gone), he doesn’t grow Super Sweet 100 cherry tomatoes anymore. These days, we grow a combination of less sweet cherries and grape tomatoes. 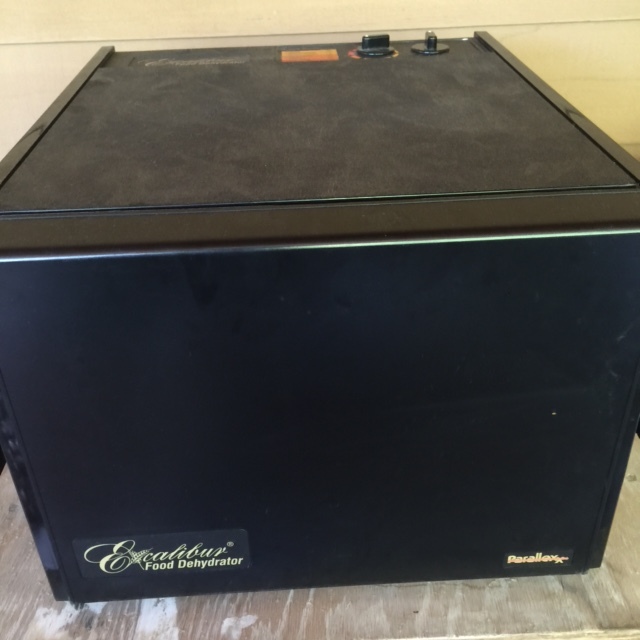 The dehydrator comes with 9 trays. 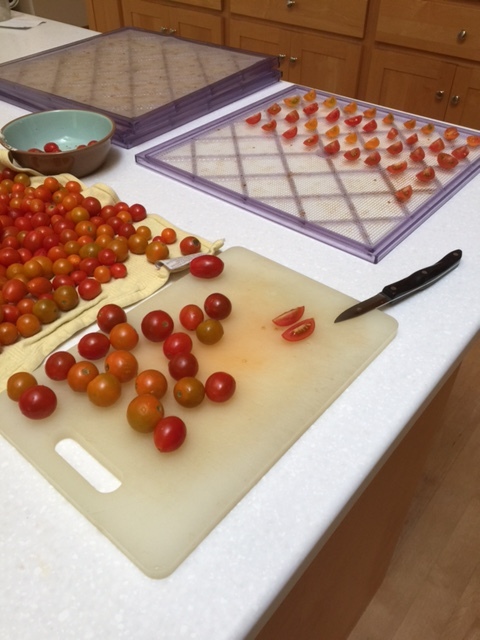 We slice the cherry or grape tomatoes in half (or even quarters if they’re so large that they stick up too much and run into the tray above it) and space them out evenly on the trays. …and set the temperature and time as advised by the instruction manual that comes with the dehydrator and let it do its thing. Hubby likes to turn the trays around mid-way through drying as the fan is in the back, but sometimes we forget, and it’s been fine, too. Check it when it’s close to the end of the timed cycle; if it’s not at the dryness level you like, just add more time. Adjust the oven racks to upper-middle and lower-middle positions. Preheat to 425F. Spray wire racks with veggie oil spray and set them in 2 rimmed baking sheets lined with parchment paper. Toss cut up tomatoes with 1/2 cup olive oil. Place cut side down on prepared wire racks. Roast until skin is a bit wrinkly (20 minutes or so). For dehydrating larger tomatoes, you can discard the skin and cook for 20-30 minutes more on 300 degrees before flipping over for 3-4 hours more until they’re visibly shrunken, dry and slightly dark around edges. For smaller tomatoes, I’d just turn the oven down to 300 and cook for 3-4 hours, checking on it every half hour to an hour to make sure they don’t burn. After removing tomatoes from oven, let them cool to room temperature. Lightly pack them into a jar with tight fitting lids. Cover completely with olive oil and seal the lid. Can be stored in refrigerator for up to 3 weeks. Or, store your dried tomatoes in baggies in the freezer until needed. And here they are, the beauties! To use, you can soak them in water or oil for however long it takes to get them to the softness that you want. Pretty easy, right? Beats paying $5 or more for a tiny jar with less than two ounces worth. Plus you know exactly who has handled your food and trust that it was grown and handled to your specifications.